To say merely that Roy James was an exceptionally talented utility back who played for Gloucester in every position behind the scrum would not do him justice. An outstanding outside half who gained an England trial in that position, he was equally at home in the centre or on the wing where he played many times for Gloucestershire and at full back where his tactical sense and ability to kick with either foot served him well. He made 298 appearances for the club between 1924 and 1937, scoring 99 tries, and was captain in 1930-31 and vice-captain in 1928-29, 1929-30 and 1932-33. He made 27 appearances for Gloucestershire, playing in three County Championship Finals. Gilbert Roy James was born in Gloucester on 9 March 1906 into one of the many Gloucester rugby playing families. His father Edward Thomas James, was a post office clerk who was a member of the Post Office Recreation Club which dominated sport in Gloucester in the 1890s. He made 4 appearances for the Gloucester 1st XV. He served on the Gloucester RFC Committee throughout the 1930s and proposed the introduction of systematic training at the club, chairing the first training sub committee. One uncle, George Clutterbuck, his mother’s brother, played 131 times for the club, scoring 23 tries in 25 games in 1900-01. He played for Gloucestershire and also served on the club committee. Another uncle, his father’s brother A “Coy” James made 4 1st XV appearances. I observed in your notes on Saturday the following: “As a combination the City backs are not good enough, but the difficulty is to find players with the necessary ability to form a real attacking force.” You are quite right, but may I ask a pertinent question? Has the Selection Committee gone out of their way to find players? There is the case of Roy James, a youth just 18 years of age, about 10 1/2 stone, who has had two years experience with the [Gloucester] Old Boys. He has scored most of their points this season, is a good kick either foot (how many of the first fifteen can do the latter?) and something of a goal kicker. I am given to understand that the Committee have had their eye on him for some time. Perhaps so, but when there is a dearth of good players one would think they would have given him a trial long ago. Roy James got his trial in October that year. He made his debut against Guy’s Hospital on 11 October 1924. It was not an auspicious start for the 18 year old as Guy’s won at Kingsholm for the first time. However, Roy was thought by WB to have acquitted himself well. He was retained for the following match at Cardiff, but “did not show the promise he showed against Guys, his defence being shown up badly.” He stayed with Gloucester for the rest of the season, playing mainly for the A team. James was made club vice-captain in 1928-29 He settled in to the wing position for club and county and played there with great success for Gloucestershire, but his club form was patchy in an under-performing back line. Gloucestershire won the County Championship in 1929-30 and again Roy James played a major role on the wing. He kept the club vice-captaincy in a fine season. He was outstanding in a 15-6 win against Swansea at Kingsholm as they completed victories against all four leading Welsh clubs Cardiff, Newport, Llanelly and Swansea for the first time for many years. On 19 October he captained the club in their first victory at Cardiff since 27 April 1898 when his uncle George Clutterbuck dropped a goal and scored a try. Moving to full back, he had a fine game against Northampton in a 12-6 win on 22 March. 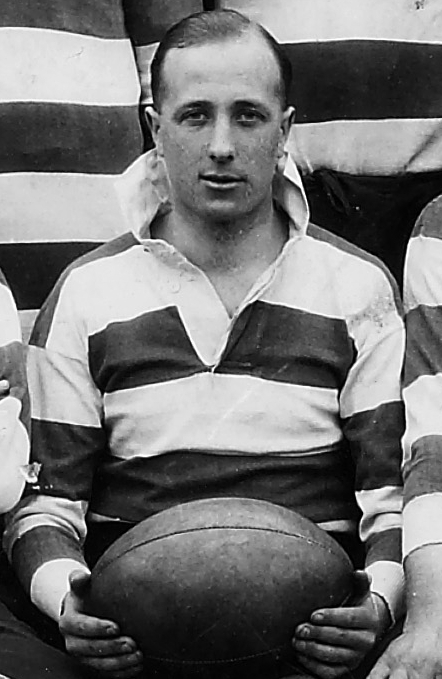 When Roy James became Gloucester captain for the 1930-31 season it was described as a “well deserved reward for excellent all round service.” The season had its disappointments (17 wins, 16 losses) but the double was achieved over Cardiff for the first time for 40 years – Gloucester won at Kingsholm by 4 goals (one penalty, one dropped) 17 points to 2 goals, 10 points, with one of the tries scored by James; and in the return at Cardiff Arms Park by 2 tries, 6 points to one dropped goal, 4 points. The only previous occasion Gloucester had obtained this double over their formidable rivals was in 1890-91 under the captaincy of Tommy Bagwell. James, who had missed the County Championship Final the previous year, played in Gloucestershire’s 19-0 victory over North Midlands in Birmingham. Dropped by Gloucestershire for the first game of the 1931-32 County Championship, he was selected at outside half, where he had started the season for Gloucester, for the second game against Somerset and had a brilliant match. It was largely on the strength of this one performance that he was chosen to play for the South against the North in the first International trial at Coventry, but he had to withdraw with an injured ankle. The Times said of his selection: “R James (is) a greatly improved man in the outside half position.” He reinforced his selection with another fine performance as Gloucestershire beat Cornwall 28-3 at Kingsholm but was not selected again, although he received reserve cards for all four home internationals that season. He played outside half in the semi-final and final of the County Championship, dropping a goal in the 9-3 victory over Durham in the final at Blaydon. Vice-captain again in 1932-33, his home form was patchy and the Kingsholm crowd let him know it, although in several away games, notably at Northampton and Twickenham, he showed the old brilliance. He lost his county place and disillusioned, announced his retirement from first class rugby. Yet the following season he was one of the first to start training. He said that “he had placed his services entirely at the disposal of the club for any position.” A fine game at outside half against Leicester in an 18-4 victory announced that he was back. He regained his county place on the wing for the first game against Devon where he was described as “the best three-quarter on the field” and retained it for the rest of the season going through to his third final against East Midlands. 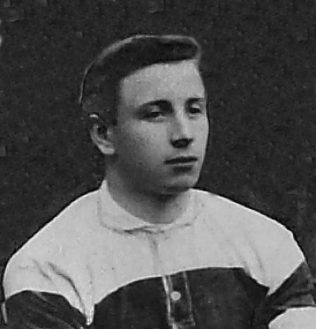 He was chosen as a reserve against Ireland in Dublin and then on 24 February played on the wing for South against North at Twickenham in an extra trial arranged to decide the team to play against Scotland for the Triple Crown, Championship and Calcutta Cup in the final international of the season. South were beaten 18-0 and his chance was gone. 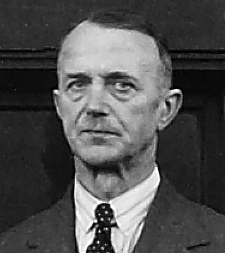 Roy James talked again of retiring at the start of the 1934-35 season but WB in the Citizen said “James is far too good a player to be allowed to go out of the side at this stage…..In the practices James has displayed all his old cleverness and skill.” He was now easily the senior member of a young back division. He played in another Gloucester win at Cardiff and had a fine game in a 32-0 victory over Leicester at Kingsholm. He finished the season with 13 tries in 30 games. He was made a life member of the Gloucester club at the start of the 1935-36 season but continued to play for two more seasons as injury cover, making 12 appearances in 1935-36 and 7 in 1936-37. His final 1st XV matches were in April 1937 when he played in an 8-6 defeat of Llanelly at Kingsholm on April 2 and dropped a goal in a 9-4 defeat by Torquay Athletic at Kingsholm on April 12. Roy James was commissioned in the RAF in WWII and served in the Middle East. After the war he ran the Lemon and Parker pub in Eastgate Street and the Hopton Arms at Munsley near Ledbury before holding the licence of the Kings Arms in Hare Lane, Gloucester for 26 years. He died in Gloucester in 1984. Roy was the sort of chap who could play anywhere in the backs. The only place I never saw him play was at full back. I saw him play on the wing – I saw him play at centre and I saw him play at outside half. I’ve heard the story (and I’ve every right to believe it’s true ‘cos I’ve heard it from several people) that he got his drop on one occasion, from the Gloucester team and the opposing team turned up one man short. I’ve forgotten which team it was. The chap was coming by car from London and hadn’t arrived by the time of kick-off – and Roy James was in the changing room and he volunteered his services and played on the wing and he scored the winning try that beat Gloucester!